6 Cubic yard dumpster used for bathroom remodels in Scott County, Iowa. 10 yard roll off used for concrete recycling and driveway removal. 20 cubic yard roll off great for asphalt roofing shingle tear off up to 40 squares of single layer. 30 yard roll off for commercial construction and industrial locations in Davenport, Iowa. *Commercial garbage collection in Geneseo. Yes, Geneseo business often times used containerized waste removal to ensure their stores are free from garbage. *Junk removal in Geneseo, Il and surrounding locations. 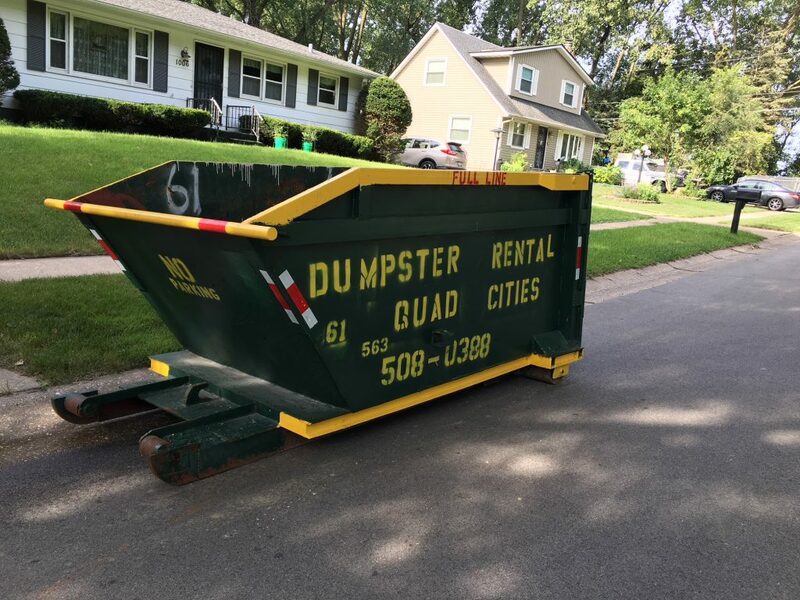 Yes if you’re living in Eldridge, Iowa, you might receive professional waste removal services ranging from dumpster rental to weekly curbside collection of residential garbage. Generally speaking, residential waste services in Eldridge have been provided by private waste collectors over the years through a contract with The City of Eldridge. Whereas waste services such as dumpster rental and junk removal have been provided through private transactions directly between waste companies and residents. Scott County Iowa has several small cities where residents receive weekly garbage collection provided by private waste collectors. here a just a few of those cities: LeClaire Iowa, Maysville, Durant Iowa, Princeton Iowa, Parkview, Buffalo Iowa, Blue Grass Iowa, etc. Private waste haulers also provide containerized scheduled collection of commercial waste in these cities.